While the Notre Dame coaching legend may have had his tongue firmly pressed against his cheek when he made that remark almost a century ago, there is no doubt that college football is a much more complicated enterprise today. In order to build a winning college football program circa 2012, coaches need intelligent players on both sides of the ball, players who can learn complex plays and intricate schemes, taught by coaches who spend every waking moment as students of a game that continues to grow in sophistication. The new additions to Western Illinois head football coach Mark Hendrickson’s coaching staff fit that bill. This week, Hendrickson announced the hiring of four new coaches to replace the three – defensive coordinator Tom Casey, offensive line coach Josh McCall and defensive line coach Steve McKane – who were dismissed last November. Topping the list is Kevin Corless, the Leathernecks’ new defensive coordinator, who will be shaking up Western’s defensive plan of attack. Corless served as an assistant coach at Arkansas State from 2002-10, spending the first seven years as co-defensive coordinator and the final two with sole responsibility as defensive coordinator. Corless worked with current Leathernecks offensive coordinator Doug Ruse at his alma mater, Northwest Missouri State, as well as at Northwestern State in Louisiana and at Arkansas State. “The Leatherneck football family is very fortunate to have Kevin joining us,” Hendrickson said. “Kevin is an outstanding person and coach. During that time Kevin coached the linebacker position in the 4-3 scheme he will be installing here. Also joining the Leatherneck coaching staff this week are Jason Eck, the new offensive line coach; defensive line coach Jake Sprague; and Kevin Almlie – a former star defensive player for Western – who returns for his second tour of duty as a Western assistant coach. Almlie will serve as the cornerbacks coach for Hendrickson, Corless and assistant coach-defensive backs Carl Franks. Corless was named the Sun Belt Conference’s 2009 Defensive Coordinator of the Year by rivals.com. The Red Wolves won the Sun Belt title in 2005, and Corless’ defense led the conference twice (in 2007 and 2009) in total defense. In 2009, the Red Wolves were also No. 1 in conference in red zone defense and scoring defense, second in rushing defense and third in passing defense. During the 2010 season, the Red Wolves led the SBC in red zone defense and were 17th nationally. Arkansas State was also second in the SBC in turnovers gained (25th nationally), and third in sacks (40th nationally) that year. In all of Corless’ years at Arkansas State, the Red Wolves defense finished among the top 40 Football Subdivision (FBS) programs in at least one defensive category. Six of Corless’ defensive players since 1998 have heard their name called in the NFL draft, led by Minnesota Vikings second-round pick Tyrell Johnson, the 2007 SBC Defensive Player of the Year. In the following year, Corless coached Alex Carrington to the league’s top defensive award and saw him get drafted in the third round by the Buffalo Bills. From 1995-2001, Corless was an assistant coach at Northwestern State, starting as defensive line coach then getting promoted to defensive coordinator. Northwestern State captured two Southland Conference titles and made three NCAA FCS playoff appearances. Prior to that, Corless coached linebackers and was the special teams coordinator at Montana Tech from 1986-95. He also was a graduate assistant coach from 1984-86 at Northwest Missouri State, working with linebackers. Corless earned his bachelor’s and master’s degree from NMSU. Eck and Sprague, who also figure to be valuable additions to the Western football coaching staff, are both graduates of the University of Wisconsin. Eck spent the 2011 season as the offensive line coach at Hampton University. The Pirates finished third in the Mid-Eastern Athletic Conference and 48th nationally in sacks allowed. During the 2009 and 2010 seasons Eck served as the offensive line coach at Ball State. In his second season there, the Cardinals allowed just 16 sacks, which ranked as the second-best total in the Mid-American Conference and 29th nationally. After working for a year as the offensive line coach at Winona State, Eck added the title of co-offensive coordinator in 2008. Winona State captured the 2007 NSIC championship and advanced to the NCAA Division II playoffs. Eck also worked for three years at Idaho under head coach Dennis Erickson. Prior to Idaho, Eck spent two years at Colorado as an assistant offensive line coach. Following his standout collegiate career at the University of Wisconsin, Eck spent three years at his alma mater as the assistant offensive line coach (1999-2001). Originally a walk-on for the Badgers, Eck earned a scholarship prior to the 1997 season, and was a back-up center on the 1998 Big Ten and Rose Bowl championship team. “(Jason) brings to us FBS Division I coaching experience, along with passion and knowledge of offensive line play,” Hendrickson said. Sprague spent the past four years at the University of South Dakota during the program’s transition to the NCAA Division I level. He began coaching the defensive line in 2008, added the title of special teams coordinator for 2009-10 and last season served as the team’s co-defensive coordinator/defensive line coach. The Coyotes led the Great West Conference in sacks last year with 34, 10th best among Division I FCS programs. South Dakota also led its conference with 22 takeaways on defense. In 2009, the Coyotes’ defense led the conference in team sacks, individual sacks and rushing defense (20th nationally). Following a two-year professional playing career with the Tennessee Titans, New York Giants and NFL Europe, Sprague returned to his alma mater at Wisconsin where he worked from the 2005 through 2007 seasons. He was responsible for recruit evaluation and assisted with all on-campus recruiting visits. On the field he worked with the defensive line and special teams. Sprague was an Honorable Mention All-Big Ten Conference selection his senior year, also earning the WFCA Wisconsin Division I Player of the Year award, the Coaches Appreciation Award and was voted team co-captain. During his collegiate career, Wisconsin went to four bowls (compiling a 4-0 record), including consecutive Big Ten and Rose Bowl championships. Almlie returns for his second stint on the Leatherneck coaching staff. He spent the 2011 season as an assistant coach at Missouri Southern, working with the defensive backs. During the 2010 season, Almlie was part of the Leathernecks coaching staff that directed the team to the NCAA playoffs after a seven-year hiatus. He worked with a secondary unit that led the Missouri Valley Football Conference in passing defense and ranked 23rd nationally. 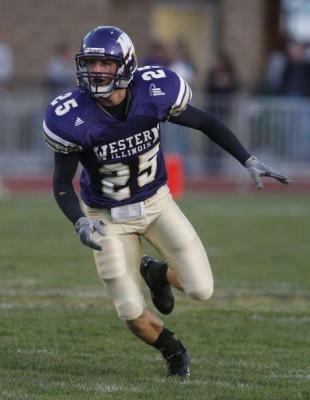 In 2009, Almlie assisted with Western’s secondary, which ranked among the top 50 in the nation in passing defense. 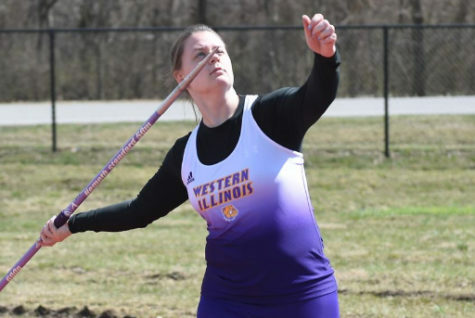 Almlie served as a student assistant coach at Western during the 2008 season while he finished his degree requirements. – Tom Loftus and Western Illinois Media Services contributed to this report.